Bravo Imposters InstaCON Activation at SXSW - Ravenswood Studio, Inc. The agency 360i asked Ravenswood Studio and Luci Creative to develop, design, and produce three sets for Bravo’s season 2 launch of the series Imposters. Ravenswood detailed the designs and accounted for every luxurious detail from premium leather upholstered seats inside a private jet, to teak wood finishes on their private yacht, and finally a fur parka and a cozy bed inside the ice-cube walls of the Russian Ice Hotel. 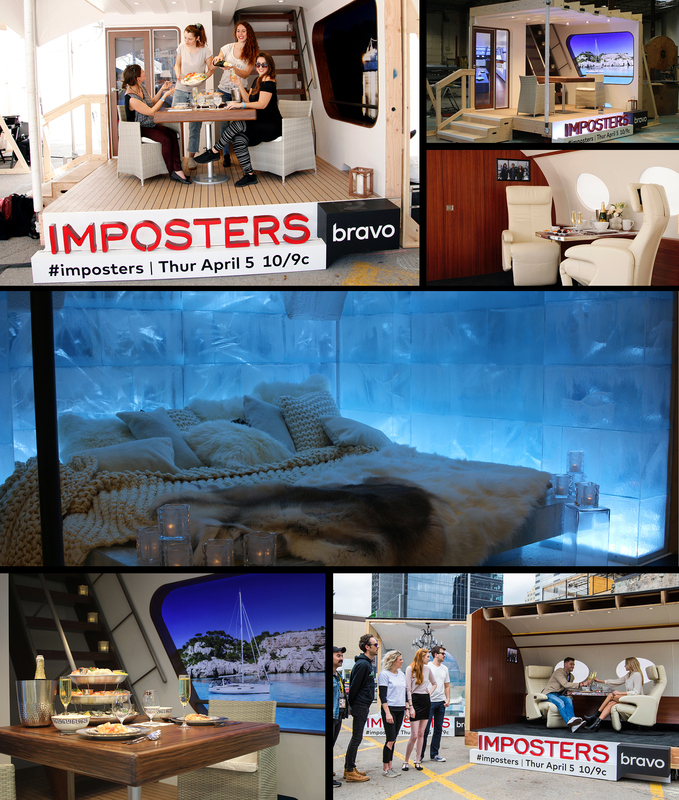 We worked closely with our partners to create the “imposter” moment, through a primary photo that captured a close up to create the “Con” of being on a private jet, experiencing a lavish meal while sailing on a yacht, or lounging in a Russian Ice Hotel. After sharing the photographs on Instagram to “Con” their followers into believing their new reality, a second photograph was sent revealing the set and the illusion. Great fun!